"Apple Pay is the simplest, most secure and private way to pay. Its growth has been off the charts. 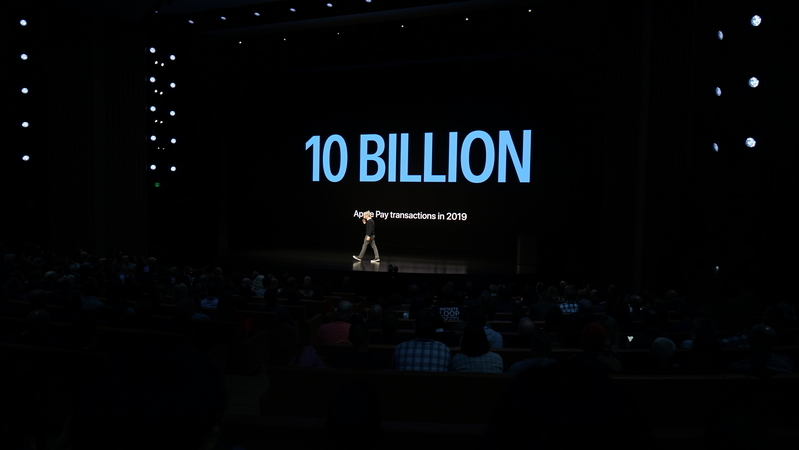 On track to surpass 10 billion transactions this year." "Apple Pay has also made riding transit easier and more convenient than ever before." "I'm excited to tell you we're bringing Apple Pay to transit" in the US. Portland first. Chicago and NYC later this year. 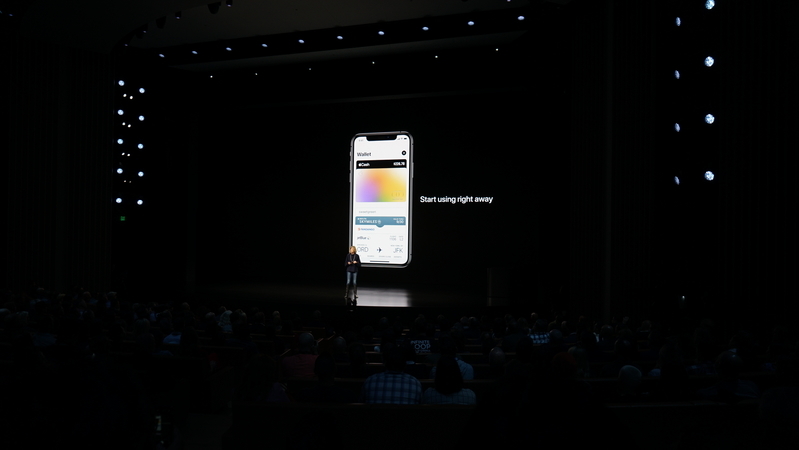 "We wanted to take the Apple Pay experience even further. We saw an opportunity to transform another fundamental method of payment. That's the credit card." "We're going to do all of this and so much more, changing the entire credit card experience. 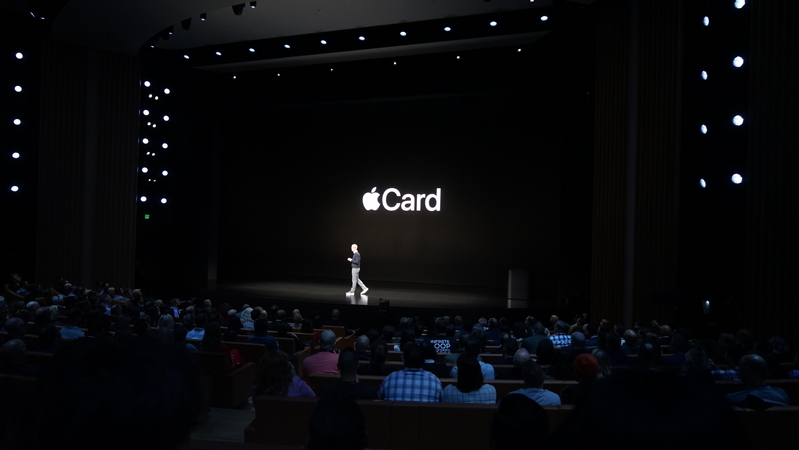 Today we're introducing a brand new service and we call it Apple Card." 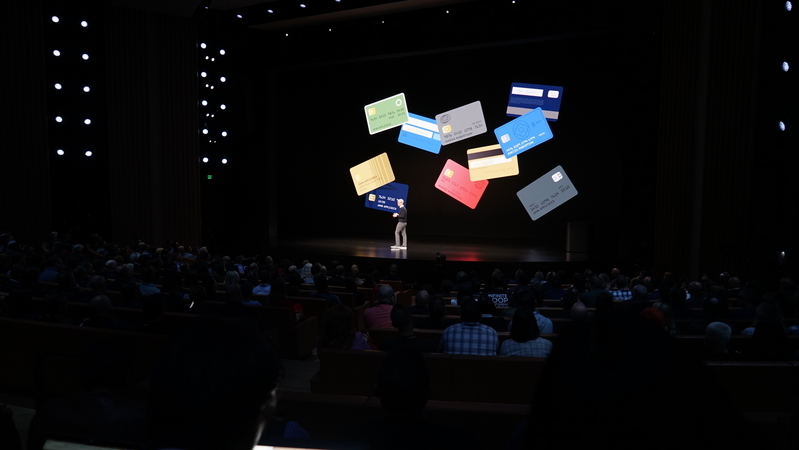 "Apple Card was created by Apple and built on principles we stand for. " 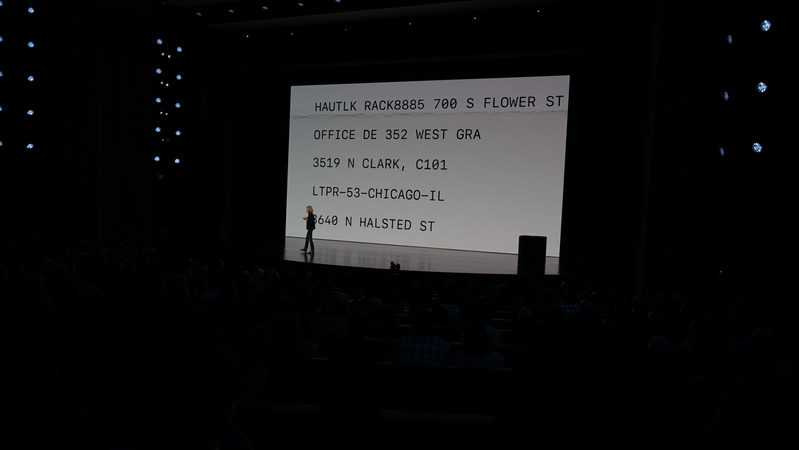 "With Apple Pay we have completely rethought the credit card." 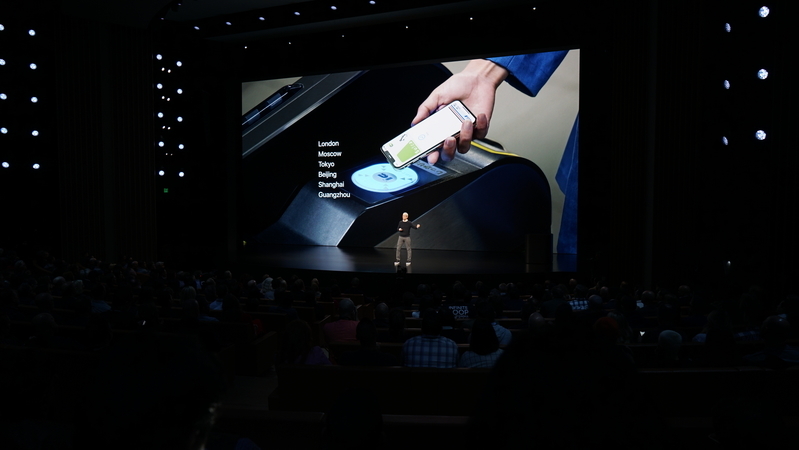 "It can do all sort of things no other credit card can do. For starters you don't have to wait days to get your card. Just sign up on your iPhone." And within just minutes, you get your card and can start using it. "We've also made it really easy to get help. 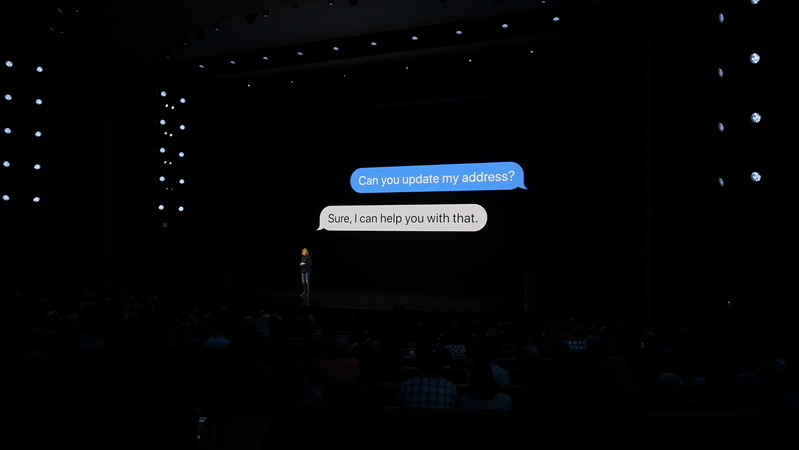 With Apple Card if you have a question, just text us right from messages." 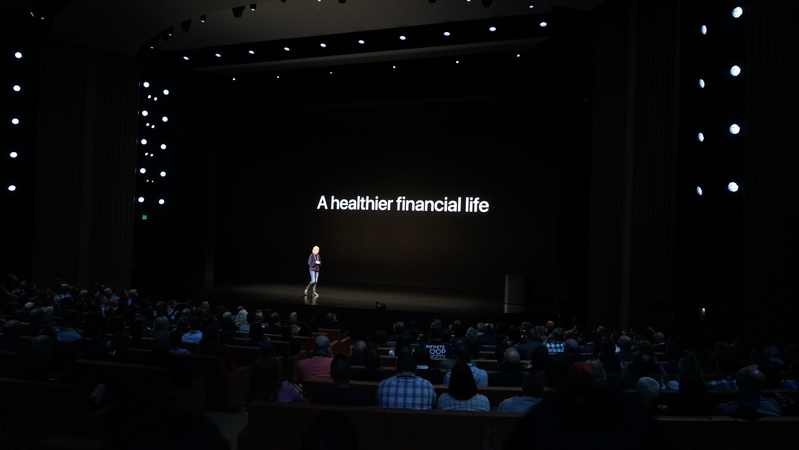 "It's as easy as messaging a friend,"
"Next we've taken on an important challenge with Apple Card, helping everyone have a healthier financial life." 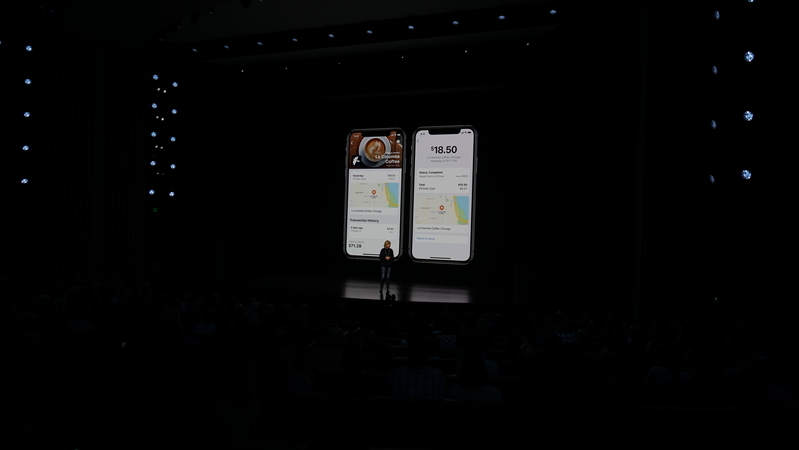 "We use machine learning and Apple Maps to transform [the entries] into names and locations you'll recognize"
"You can keep track of your spending by category." And you can see how your spending is trending. Rewards. "Most reward programs use points. 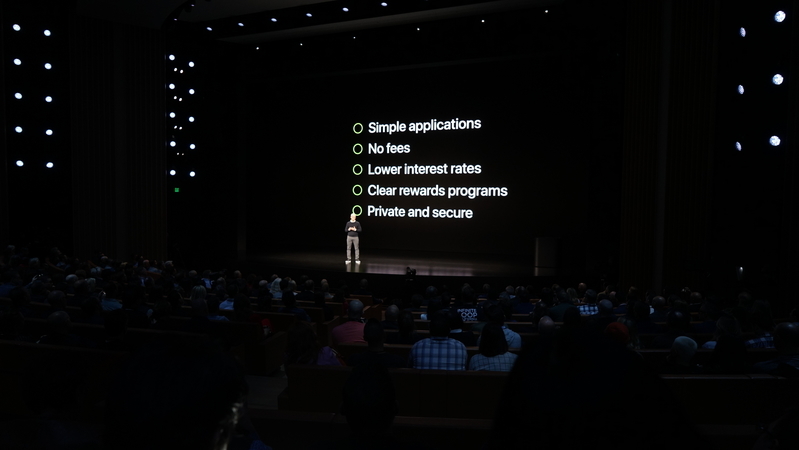 ... with Apple Card, we want you to get the most for your money. Every time you spend money with Apple Card, you get cash back and you get it every day. ... we call it Daily Cash." Apple Card has cash back ... and you get it daily? 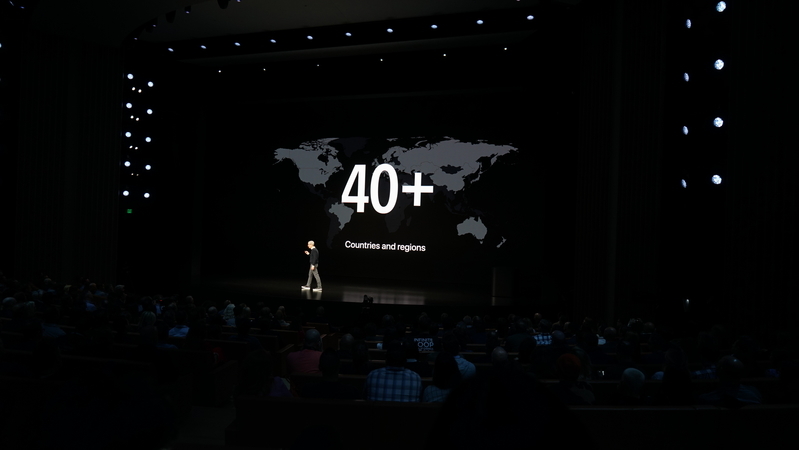 "When you're buying your morning coffee, shopping for groceries and anytime you pay using Apple Card, you get Daily Cash. Not a day from now but every day. 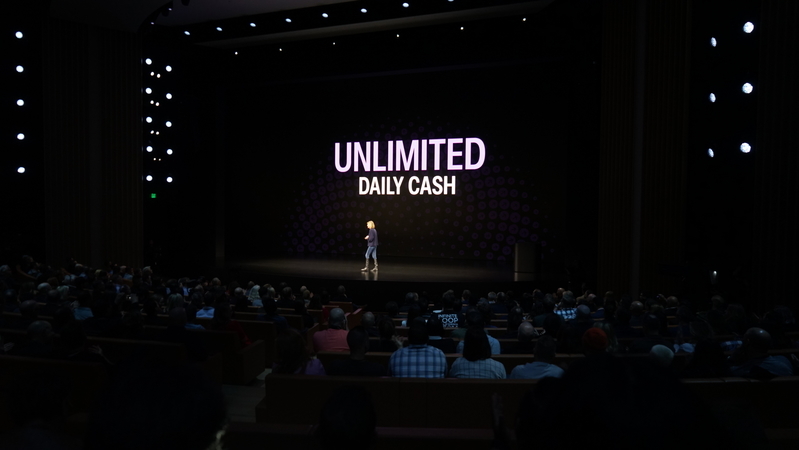 Every day you spend, cash is added to your Apple cash card. It's cash, like real cash." "Use it to pay down your balance, spend it wherever you use Apple Pay or send it to friends using Messages." 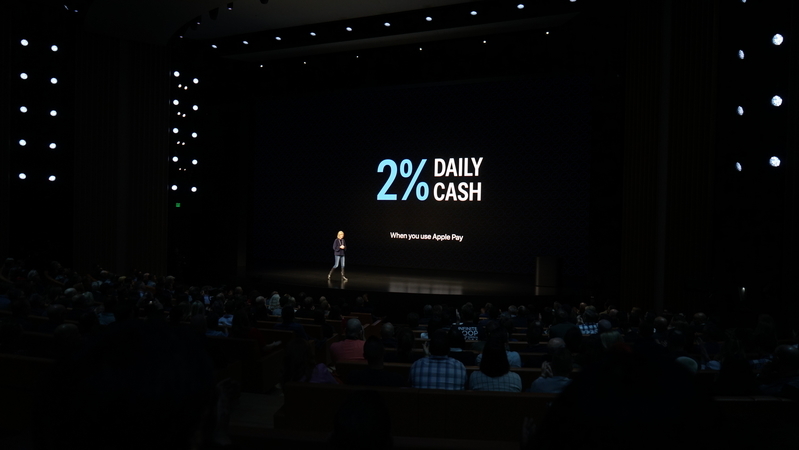 You get 2% of the daily amount in Apple Cash. 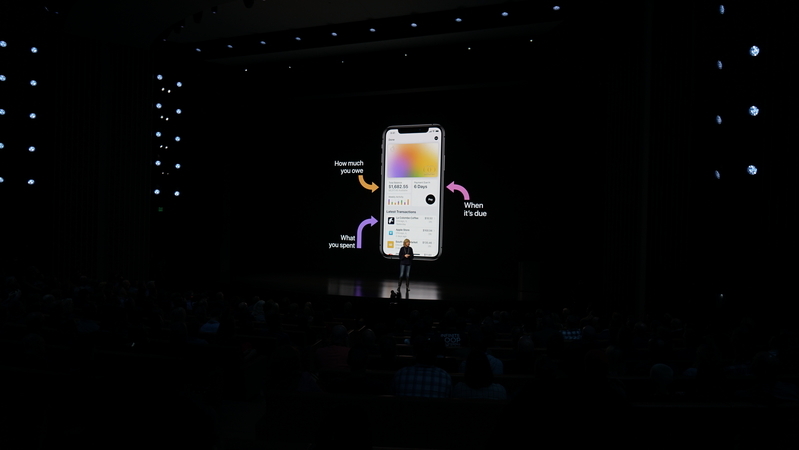 "For purchases made directly from Apple like Apple retail stores, App Store or purchase services, you get 3% Daily Cash." "The amount of daily cash you can receive every day is unlimited."